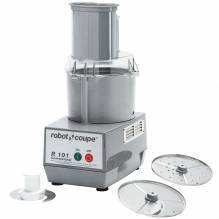 A food processor is a fundamental appliance for any type of food establishment! Whether to make hummus or pesto, a commercial food processor is an advantageous appliance, which will do nothing but increase productivity and the types of foods you can make! Looking to slice, dice, shred and grate? Look no further! Opt for a Robot Coupe machine to help you cut and prepare large amounts of vegetables for your deli, grocery store, restaurant or café! 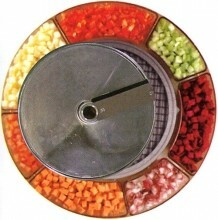 Bowl cutters available, to mince, chop, and puree a variety of foods! Stainless steel bowls and knives makes it simple and easy to clean! Don’t ruin the quality of your food! Use the proper appliance to get the job done the way you want! Potato peelers available to minimize amount of product waste, and to increase efficiency! From 22lbs to 55lbs, find the potato peeler capacity that is right for your establishment! 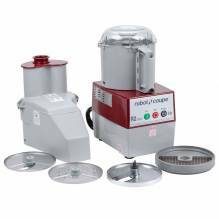 Manual and electric food cutters available in various capacities and sizes! 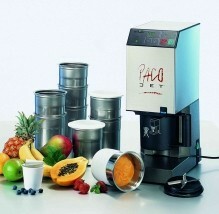 Add a Pacojet frozen food processor to your establishment, for a unique spin on ordinary food ingredients! 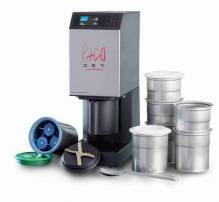 A Pacojet gives you the ability to make creams, sauces, ice creams, mousses and more with one simple step!